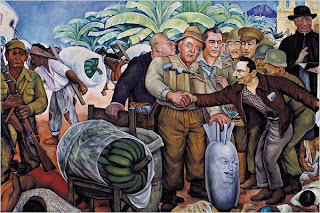 Gloriosa Victoria is a famous mural painting by Diego Rivera. The painting was said to have disappeared for 5o years. It was then found in the warehouses of the Pushkin museum in Russia. The painting is now on the display at the Guatemala's national palace. 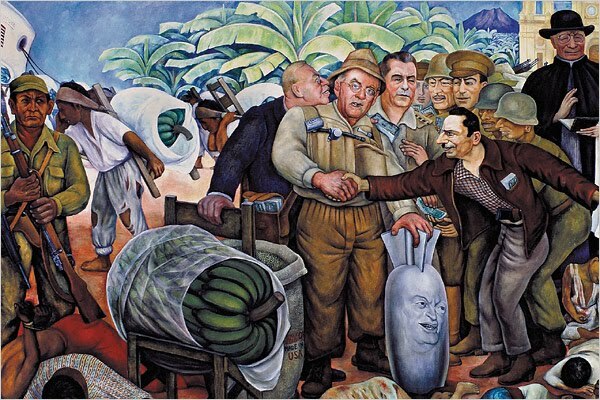 The mural portrays the bloody story of the U.S invasion of Guatemala in 1954 and the coup d'etat which had elected Jacobo Arbenz overthrown.